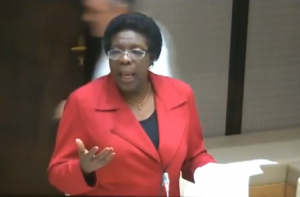 WILLEMSTAD – Member of Parliament Omayra Leeflang has filed a complaint at the Public Prosecution against the new Minister of Government Service, Planning and Policy Norberto Ribeiro. The MP already announced this earlier. According to Leeflang, Ribeiro has committed a malfeasance by instructing the members of the Supreme Electoral Council to cease all work on the upcoming elections. This act of the minister is a violation of the National Decree which was signed by the Governor. Ribeiro runs the risk of a prison sentence of three years. Also, the new National Decree which was presented to the Governor earlier this week, which indicates that the elections should be postponed, according to Leeflang, is also a criminal act and could be considered abuse of power. 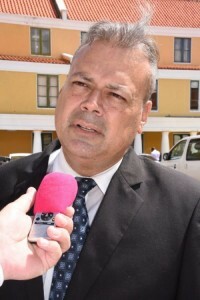 In a draft complaint, the leader of the Un Korsou Hustu party states that the nature and seriousness of the identified behavior is a major threat to the Curaçao’s democracy and rule of law. Last night the majority of twelve in Parliament indicated that they will honor the elections of April 28 and will support the process of preparations. In a short interview with Leeflang, Curaçao Chronicle asked her if she will continue with her case against Minister Norberto Ribeiro, she emphatically said yes. “Ribeiro already committed a punishable act. Our case against him will continue,” said the MP.